European Space Agency, ESTEC, The Netherlands Dr. Ali Zadeh received his B.S. and M.S. (1993) from the University of Bergen (Norway) and his Ph.D. in Physics from Brunel University, West London (UK) in 1997. In 1996 Dr. Zadeh joined the European Southern Observatory (Munich, Germany) as a CCD specialist. 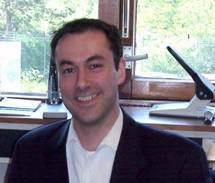 At the end of 1997 to present he is working at the European Space Agency (ESTEC, The Netherlands). He is currently the head of the Component Space Evaluation and Radiation Effects Section. The main responsibility area of his section includes the support to ESA projects, R&D and standardization activities on EEE component reliability and radiation related issues. Dr. Zadeh has authored and co-authored more than 30 papers.